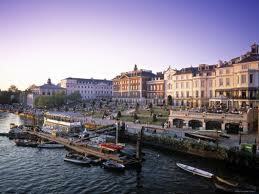 Richmond is a name which comes from a 16th century Tudor building called Richmond Palace. The whole Richmond Palace as it was is no longer, but there’s still the Gate House and Wardrobe. The town has been found to be one of the happiest places to live in, with the areas affluence and notable quality of life it’s easy to see why we’re so unusually happy here – there’s a lot to be happy about. Everywhere you turn in Richmond there’s green space, nearly all of it open to the public. Richmond Green is slap bang in the middle of the town and is a delight in the summer. Not far away is Richmond Park and Old Deer Park. Richmond Park is recognised as being of special interest on several fronts. It’s the biggest Royal Park in London, its creation was as a deer park and there’s still hundreds of deer in the park, red and fallow to be specific. Economically the town makes a lot of its money from shopping. For up-market shopping Richmond is absolutely the place to be. There’s a healthy mix of high street chains and independent businesses. On Saturday in Heron Square there’s the weekly farmers’ market. If fresh, fruit, veg and other top quality foods are what you like then you’ll love the farmers’ market. 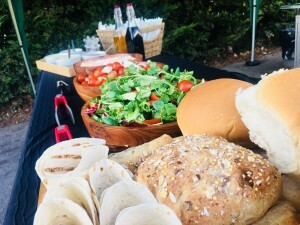 We are often hired to cater at some lovely houses and a recent even saw us catering at an end of season party for a local women’s football team. There was cause for a double celebration with the team victorious in two competitions so the meal they were about to receive was certainly fit for champions. On this occasion the menu in question was a lovely sit down meal consisting of spit roasted chicken, seasonal vegetables and jacket wedges with a whole host of trimmings. It was served at 6:30pm along with drinks, much to the delight of the footballers! Once they had eaten we cleared up and left them the celebrate way into the night. A well prepared meal for a well deserved occasion. 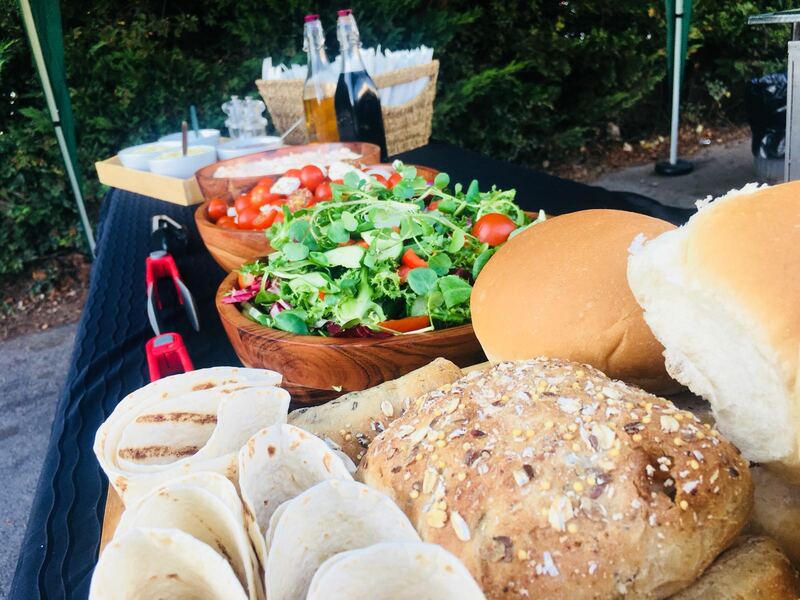 We quite regularly see old clients or their guests at the farmers’ market, our hog roast clients and their guests value delicious foods which is high in standard and as fresh as you can get it. Hog roast Richmond has an easy to explain appeal. Our Spitting Pig catering packages are booked because the food we’re responsible for making is lush with flavour and it’s presented and served with a wholly professional touch. For a hog roast event we take one of our fresh pigs, one that’s big enough to easily feed all of your guests, then it’s prepared and skewered by the spit roast chef so that it cooks evenly and has a classic crispy crackling exterior. The hog roasting of a pig could be 20kg or could be 90kg, takes time, but it’s worth waiting for because after cooking for all the hours it needs it tastes thoroughly delectable. The lip smacking goodness of our hog roast meals are accentuated further when you throw into the mix any of the other dishes on our menus. 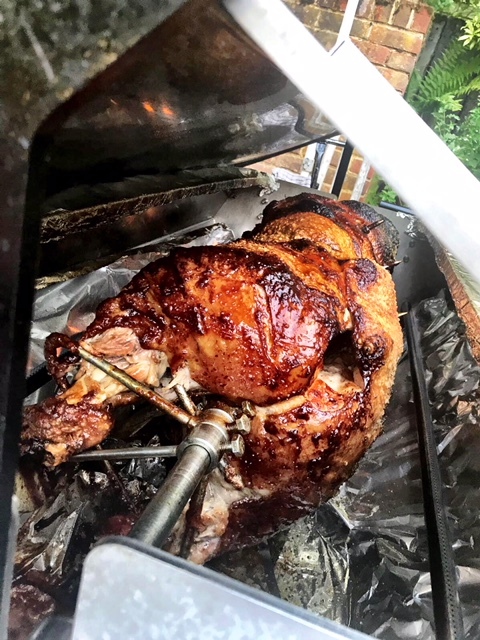 Guests struggle to come to terms with how much better a spit roast is than a conventional oven roast, even when we’re cooking notoriously difficult whole meats, turkey for example, we have guests ooing and ahhing at how full of flavour and succulently moist the meats are. The pig in particular is served with stuffing and apple sauce which helps to bring out the very best of the full pork flavours. For a corporate, party or wedding event you’re on to a certified winner with a Spitting Pig hog roast, but you can say the exact same thing with any other spit roast choice – and there’s heaps more to pick from. Menu packages can be scaled for any a Hog roast Richmond event. We’ve had a number of clients who’ve come to us, in a worry, because they’d left choosing a caterer a little late and were finding it impossible to track down a caterer who could cater for the size of their event at a reasonable price. They breathed a sigh of relief when we returned a quote and explained that even if there event was for thousands of people and in the middle of a park, the chefs at Spitting Pig have the hog roast skill that’s needed to cater for colossal sized jobs. We can also cater for small events, in fact we can go smaller still and not cater for you at all, but what we can do is give you a Hog roast hire Richmond machine. It’s entirely optional of course, we’ll cater for an event however small it is, but sometimes for small events it makes economic sense to hire a machine. Hog roast hire Richmond what you need if you want the raw and unadulterated hog roast experience. No catering, just you, a machine and your friends. With it you can spit roast all the usual meat favourites, from chicken to beef. A hog roast machine hired is your permit to create appetite whetting fresh food.